Amazon’s Prime Day is probably the biggest day of the year for smart speaker sales, but Black Friday is at least a close second and may set new records this year. The primary method of driving smart speaker purchases is discounting. Here is a quick overview of what is happening and what to look for. Black Friday smart speaker sales in 2017 were dominated by Amazon and Google. The companies had the highest awareness, the broadest product assortment, and most popular devices. Sonos One was the only other high profile device available although there were credible offerings from JBL, Harman Kardon and Sony along with an army of clones. However, it was the Amazon Echo Dot and Google Home Mini that dominated the retail specials. Google Home Mini was an especially hot item because it was launched shortly before the holidays and represented Google’s first entry into the sub-$50 price category. And, both the Echo Dot and Home Mini was widely available with discounting under $30. The number of Amazon and Google competitors has grown significantly over the past year. There are still clones in the low-cost value segment, but the bigger competition has arisen in the premium category for devices selling at $200 and up. Sonos One is at the bottom end of the range at about $200 with Bang & Olufsen’s Beosound 2 setting the top end of pricing at $2,250. By far the largest player in this segment in terms of unit volume is Apple HomePod which has a retail price of $349. The Bose 500 with a $400 list price may also make a dent in the market given the company’s loyal user base. Will the Premium Smart Speaker Segment Rise? There is little doubt that most of the unit volume will come from the value segment, particularly devices that on sale will command prices between $20 – $50. The premium segment is worth watching because music listening has emerged as the killer app for smart speakers. A recent study by the Reuters Institute for the study of Journalism found that music listening was the most valued smart speaker feature by 61% of device owners in the U.K. and no other feature commanded more than 7% of user affection. As consumers learn their own habits around smart speaker use, it is logical that some low-end devices will be replaced by better-sounding premium smart speakers in some rooms. Premium smart speakers are likely to move into living rooms and bedrooms, while Echo Dots and Google Home Minis will be relocated to guest rooms and basements. The story to watch most closely is whether Apple HomePod breaks out given this is the first holiday season the device will be available. HomePod was first launched in February 2018 in the U.S., U.K., and Australia and then moved into Canada, France, and Germany in June. Despite arriving “off-season,” HomePod quickly rose to 4.1% of the installed base of U.S. smart speaker owners by May and rose again to 4.5% by early September. The holiday shopping season will tell us whether the initial HomePod sales represented the extent of pent-up demand from Apple loyalists or if there is a broader market for a premium Siri-enabled smart speaker. The other big news in the voice assistant-enabled device category is smart displays. In 2017, there were only two products on the market, Amazon Echo Show and Echo Spot. There is an updated Amazon Echo Show 2nd Generation for 2018 and a number of newly minted competitors. The highest-profile alternative is Google Home Hub. Echo Show 2nd Generation has a list price of $229 and is currently discounted to $179. Google Home Hub’s standard selling price is $149 but is available through several Black Friday deals for only $99. The key differences between these devices are the voice assistants onboard, Home Hub’s lack of a camera for video chat, Echo Show’s lack of YouTube access, and Echo Show’s larger screen. In some ways, it appears Home Hub might be more of a competitor to Amazon’s Echo Spot. The Echo Spot has a tiny screen as is really more of a bedroom clock-radio replacement that barely qualifies in the smart display category. It is selling for under $90 today on Amazon’s website. The other big news on the smart display front was the recent launch of Facebook Portal. This oft-delayed device does not enable connectivity with Facebook content and is almost solely designed for video chat. The key feature is that the camera follows the speaker around the room, always keeping them in frame. 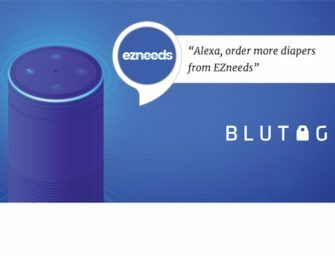 All other features are provided through an integration with Amazon Alexa. The integration provides added Portal functionality for users and wider reach for Alexa. Both the 10.1″ and 15.6″ models are on sale with a $50 discount at Amazon and Best Buy. Google Assistant is also available on three third-party smart displays from Lenovo, LG, and JBL. Sony has announced a device, but it has yet to be released. However, the bottom line is that Google Assistant fans will have multiple options for large-screen smart displays that all have video chat capabilities. Smart speakers and smart displays will be the highest-profile devices with voice assistant access, but other product categories will also be sporting their voice interactive features. The most notable are smart watches, wireless earbuds, media streaming devices, gaming consoles, and smartphones. Each category has several product options that include Alexa, Google Assistant or Siri integration. Regardless of the device surface, there are only three voice assistants across these devices: Amazon Alexa, Google Assistant, and Apple Siri. There will certainly be market share battles at the device level but the more important competition is for which voice assistant becomes the default in consumer homes. Siri is well behind given that it has a single offering in the smart speaker category and no smart display option. However, the strength of Apple in personal devices such as watches, earbuds, and smartphones means Siri access points will be expanding this holiday season. The battle for the lion share of voice assistant reach will play out between Alexa and Google Assistant. Google has the most to gain in this regard as it should expand market share significantly in the smart display category while also expanding its reach in smart speakers and other devices. To learn more about how consumers use voice assitants across multiple device types, check out Voicebot’s 30-page report: Voice Assistant Consumer Adoption Report.